Welcome back to the show here we're going to look at helping your call fusion team find flow, seven keys project management success. And I'm here with Christine all misty saying your last name right? Because I didn't practice it for a solid I should have done and we're going to look at the role of a modern project manager on cold fusion a mirror projects to hats you might wear as a project manager and what is flow and why is it so important today for you and your team and we'll go through seven keys she has for success in your project. So welcome, Christine. Thank you. Yes, she's gonna be speaking on this top pick at Mira con in just three days, I think. Right. So four days a few days. So very exciting. And we'll talk a bit more about miracles later in the episode. But would I look at those different things. 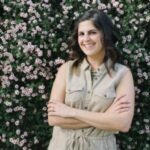 And let's just start off with how do you see the role of a digital project manager? I'm kind of curious why you call yourself a digital project manager? Yes. So the reason why we've been using the label as digital project manager is because all the projects I manage our digital projects or web sites, their applications on the back end or intranets, things like that they're not construction projects or projects where you have a tangible products that you can hand out at the end of the life cycle. It's all digital based. And how does that affect what you do? Well, for me, it doesn't have too much of an impact, because that's my specialty, you managing digital projects. My specialty is in managing custom application development along with websites and internets. And so for me, having that moniker of a digital product manager is pretty much a perfect fit. I'm in my role at Blue River. I mean, within the Professional Services Department. And I particularly wear many hats. I'm not only a project manager or manager in the traditional sense, where I manage a timeline, and I check on budget, and I make sure that people are taking tasks off their list. But I'm also a business analyst, where I have to, you know, conceptualize applications and dive deep into requirements and create spec docs, and maybe even help out with wire framing, I am an account manager where I'm interfacing with client checking in making sure they're happy and pleased with our work. And I'm also support representative. So after our projects are complete, we don't just abandon our clients, we maintain our relationship with them, and help support them throughout the future of the application to make sure that continues functioning properly. Yes, I'm the the frontline for our projects and our company. it is for me, because I have a backup grown in web development actually. And so that's what I went to college for. I was a front end developer for many years. And I have kind of that technical experience on how things are built. And so I'm able to, again, be that front line. And that first line where I'm helping scope things out, I can technically understand how things need to be built. And I can articulate that in a written form to them translate to my team. So for me, that is a hat that I definitely wear? Yeah, definitely, with clients, the majority of the time they're either marketing department based on they may not necessarily be technical people. And so, you know, I have to make sure that my language is used an understandable way to them, you know, imagery helps a lot because are visual based creatures. And so having wire frames and designs are always very helpful. And then, of course, when I talk with my dev team is can be very technical, and, you know, we'll whiteboard and sketch things out. And so yeah, I definitely speak differently, depending on my audience. You know, so it means for me, it means making sure there's always a positive relationship, a business relationship. So I means communicating constantly with my clients, it means checking in with them to make sure that they're happy even after a project is closed. And it means even thinking ahead to see what are some enhancements that they may benefit from, that we may have done on another project that could benefit them and introduce that to them. It really just means maintaining business relationship and keeping that open line of communication at all times. So somewhat of a sales hat in effect. this is a lot of hats you wear. So yeah, so how do you avoid getting stressed out with so many hats, and being responsible for such big projects? Yeah, so I have seven keys to success that I try to implement into my work. And with my team, I definitely try to work smart as opposed to multitask. And I found that these seven keys that I have implemented work really well for me and my team. Of course, it's a evolution and a constant process to evaluate what works for you and and adjust as needed. But these are things that I have found work really well and help mitigate stress in our organization. Yeah, it is, I mean, at the end of the day, our clients and our projects are the Queen as I call it, where they rule the roost, right? whenever they need we we solve that need as, as, you know, people working in a services industry, but I do try to prioritize and make sure that things are lined up in a way where my developers and my team can tackle those tasks in an efficient manner to where they're not bouncing around or juggling, because that definitely breaks flow for them. So do you unplug their email at the beginning of the day? Yeah, I wish. Well, going back to those seven keys to success. My first one is to plan for everything, literally plan for everything. And it's really built into my personality type, to have everything kind of buttoned up and organized. It's also known as having a type A personality. And so I use a number of tools to make sure that my team has exactly what they need. And they say distraction free, we use a couple of different tools for task and project management, so they know exactly what they need to work on. At what time we use slack for Team communication. And we have various bots and status controls built in to allow people to go distraction free, and kind of go Do Not Disturb, so they can focus on what they need to do. And for us, it seems to be working very well. Now, you mentioned that you use some pm tools, can you tell us what tools you use and why you particularly like them? Yeah, definitely. So the first two tools will actually the first main tool that I use is Google Calendar. I use that literally, for everything in my life. I have color coded calendars that serve different purposes. And so I'm able to organize things blocked off accordingly. it's just really user friendly. Everybody loves it here. Yeah. Yeah. And for us, that's very true. Because we have a channel per projects, and we have various spots that do alerts for us and kind of take care of a lot of the legwork for us, but definitely can create a lot of noise sometimes. So we encourage muting channels we encourage marking oneself as Do Not Disturb. We even have this cool trick where you pick a red emoji from the emoji pack to indicate that you're busy, and to not be disturbed. And then you can switch to a green emoji, like a turtle or a tree to indicate that you're available and open to having a ping or destruction. And so for us, that works really well, because it's all visual based. And I can see Oh, Max, go to red circle on his I know, I need to wait until I paying him things like that. And then it works really well for us. Everyone uses it. We all have it on our phones, too. So if we step out at lunch, and an emergency message comes in, we're able to, you know, see it right away. So for us, it's a love hate relationship a little bit too, but I think it's more love than hate. Well, that's good. So you won't be breaking up with slap back this year. No, no, we love it. Yeah. definitely. So I don't know if you've heard of if then this or that. And so I've set up a bot that chimes in at the end of the month, every month to remind everyone to make sure all their time logging is up to date. So that we can do invoicing, I have a bot set up for trial. Oh, so when certain activities happen on cards, we get a bot that chimes in and slack to let us know. So for if a client comments on a card, we get a little notification and slack so we don't need to leave trial open all the time. I also have box set up for some levity in the office announcing birthdays and anniversaries and vacation time so people know what's going on in our office and can kind of spread somewhere I'll listen happy birthdays and share some gift ease and some other fun emojis like that. So those are some of the box that we use. Now, you mentioned morale that it Do you feel as part of your role and a secret hat that you have? Now, you mentioned whiteboards. I'm kind of imagining that everyone has their own office with a whiteboard. Or if you have one of those bullpen. Open plan. and, and how do you do deal with you've got remotes, people developing, you know, helping out to how, how do you involve them, because they can't come for a coffee date. They can't on the whiteboard. that that is very important, because it's so easy for remote developers to just feel forgotten about. Definitely. Now, let's, let's look at some of these other keys to project management success. I think the first one you had is practice gratitude. Which sounds unusual for a web development company. Yeah, definitely. Um, yeah, you know, studies have shown that if you inject gratitude and compassion into the workplace, great things will happen, not only for yourself, but for your team around you. So spreading a little gratitude and making sure that you're kind to people can really boost morale can increase productivity and get you into flow, right? That's the thing that's like the glue about all of this is finding flow and kindness in particular, is very overrated or underrated, excuse me, people don't pay attention to being kind, especially in the workplace. You think of being in the office as very transactional, I'm here I need to do my job, get my paycheck, and I'm out. But if you inject a little kindness, maybe spend some time before you dive into a task, catching up with a coworker, maybe surprise them with a coffee or go for a lunchtime walk together and just show that you care and under I'm that person and where they're coming from, you'll find that you not only create flow efficiency in the work and product profitability for the company, but you feel good as a person, and then they feel good, and you'll find that they then injects kindness back to you. It's really it's really simple, but it's really magical how it works. definitely, definitely. And that's another one of my keys to success is banishing the ego. And part of that includes that negative thinking, and that stink bug that's on your shoulder whispering in your ear, trying to inject like, you know, decrease efficiency and negative behaviors and responses to things. If you focus on your end goal and what you're here for within the organization. And understand that you're not just a cog in the machine, you're a person who's contributing in a very positive way. Soon, you'll find that your soul is the thing that's flourishing. And that ego gets pushed aside. And it's really important. It does sound a little New Agey, but it's really powerful. I have some other albums. So great. that's great. I have to check that out. I love Spotify. For me. It's really great. I can put an artist and it'll play music that's similar to that artist. So that's really helpful for me, but that that site sounds great. I'll have to check it out. Yeah, it's worth checking out. And, and I would personally for me, when I'm doing something like writing code or having to focus on things, I don't want words in the music. And it's interesting you said that was electronic music. It doesn't have a lyrics going on. that was perfect. I time that for you. Perfect. Yes. health as well. Um, so you know, when you get on a plane, and you hear the flight attendant, say, put on your own oxygen mask for assisting others. And that's very important in every facet of life. If you don't take care of yourself first, whether that's in love at the workplace, with your health, You're in no position to help other people. So making sure that you are in tip top shape is really important. And you can accomplish that in many ways by blocking time off in your calendar for you go get a massage at lunch, or maybe do some trip planning. You know, try to find something fun to do on the weekend, go get a gelato, you know, at lunch. Something that is like self care for yourself is so important. And you'll find that you feel better and you can work better. And you can interact with your colleagues and your clients better. But that's only one part of the coin. The other part of the coin is making sure that your team is taken care of to, again, going back to positivity and having relationships with your colleagues. You want to spread kindness and spread time with those colleagues to show them that you care and that you're their health is important as well. So one thing that we do here is we go on a lunchtime walk a few of us, we do a quick 20 minute loop around the office and we chat and sometimes we vent and get it all out of our system. But it works really well for us, again, all surprise my team sometimes with coffee, or I'll take the project manager on my team out for a smoothie and ask him how he's doing and just, you know, just connect on a personal level with them. And you can you find common ground between each other, you will find flow and health and productivity and your work will be so satisfying. or at least take a nap or something. so I usually have a lot of trouble asleep, I tend to not be able to turn my brain off, which can be really frustrating, because if I don't have enough hours of sleep, I'm usually a mess. And so I really embraced essential oils lately, myself, I have a little diffuser next to my bed on the nightstand. And I'll put in a few drops of lavender or some other sort of relaxing blend. And it really helps calm my brain down so that I can have a restful sleep. The other thing I try to do is stay off my phone as much as I can. When I'm in bed. That's pretty difficult. I have to confess, I love playing some games on my phone before I go go to bed. But I have found that if I don't go on my phone, and I've got my little diffuser going, it just puts me into that restful sleep so much quicker. Another cool thing that I do is on my phone, I have this white noise app. And I turn that on. And it's like the sound of like a worrying fan, or maybe the sound of submarine or an airplane sound. And it really helps kind of relax my mind and, and help me fall asleep. Yeah, those are great tips. I mean, I I just have a rule. I don't. My phone does not enter the bedroom. Oh, just doesn't have permission. So and if I want to I do play he sometimes I'll I don't use white noise. But you know, I'll have it. I actually bought an iPod because it doesn't have all those game. Yeah, notifications and all that stuff. But it can play any of those white white noise. Rain, right. Music I want or meditations or whatever. So that's one tip. And then I I have a tendency to read in bed, which is my life. Oh, yeah. Well, you know, I've been so bad. that's a really good point. Yeah, we're really fortunate at Blue River, where they promote working from home a lot, our bosses are extremely generous, and they really promote that whole work life balance thing. So if you're not feeling well, you have the total authority to stay home and work from home, you know, as long as you're online, on slack and reachable in some way you can, you don't have to be in the office. And for us, that has actually added a lot of flow for the team to be able to, you know, if I need to go heads down, I'll just stay at home. And, you know, it helps mitigate those distractions. And if I'm not feeling well, and I just want to be in my pajamas all day working, I can do that, too. That is a great thing to have. Yeah, you know, I, I think the ability to any means if you've got responsibilities at home, like you've got a plumber coming, or your kids call, whatever the thing is, suddenly deal with that and still get a good day's work in. So plus, there's that whole commuting thing that you avoid. So now, the next thing you you have is your, you know, seven keys stressful cold fusion teams is set and fake expectations. Tell us Yeah, why that Secretary blue? Yeah, obviously, you want to make sure the expectations fall in line with reality, right? So let's say you have a client that comes to you, you know, I need this new website with all these integrations and API's and it's a new design and I'm going to give you all new content, and can you do that in six weeks for me, I mean, that's just crazy, right? So setting an expectation and shaping it throughout the lifecycle of a project is super important. It reduces miscommunications and misunderstandings, it just sets, it just sets a framework of how you want to communicate with people and how those people will end up communicating with you. So for me, I find it very beneficial. When I do a weekly status quo with my clients. I send them an Evernote recap of the meeting. And they have exactly what we went over, what are those open action items, what our next steps, obviously, we will have a timeline update in there as well, sometimes a budget update, and that's kind of our glue moving forward into the next week. And for me, when I send that out, and my clients love it, and sometimes all forget to send it out or it'll be a few hours until they send it out because I'm so busy and they email me, Hey, where's the Evernote? Can I get a copy of the Evernote and it's just really funny, because I've ended up training my clients in a way to expect this. But it's a good expectation because it has set the tone, there's no misunderstandings. Everything's right there, black and white. And it's just very clear. And so for me, that works very well. I'm starting off by listening can be so powerful. You know, we're all very smart people, developers are geniuses in their own ways. They create amazing things on a daily basis. But if you take a step back and listen and process what someone is telling you, you're able to then communicate back in an effective way to them, you know, if I understand you said this, and document that and understand what the shared goal is, you can continually, you know, shape the expectation of what the relationship is going to be like. And that creates flow for everyone, even your clients. So it's really powerful. How do you see that creating flow for your clients? Well, in a way, it goes back to how I've trained them, right. So they now know that there's an Evernote coming that has everything they need to know in it. So for them, they can take that document and use that in their work if they need to escalate it to their manager with their status updates. Hey, john, our project is on track. It's, you know, X, Y, and Z. They have this, you know, living, breathing thing that contributes to their own, you know, efficiency and productivity and it works. It really works for us. is great. And the reason I mentioned anxiety is because that's something that will destroy flow. If people are anxious. It's so hard to focus on our work and get in that flow state. Yeah, yeah, so the final seventh keys, choose your battles. we use still talking with fellow for the next day. Oh, yeah. oh, man, I don't know if we've ever had a heavy argument we've had a couple of years matches were boss had to step in and say both of you guys be quiet. But that's about the extent of it. We all for the most part, get along really well here. And then when you say choose your battles, that kind of implies that there are some battles, you just have to let go and not. Yeah, definitely. I mean, again, going back to banishing that ego, right, some things are just not worth fighting over. If your UX director, for example, really wants the menu designed in this way, and you're, you're not feeling it, just let it go. He's the expert. We can see what the client thinks, let's deal with something else to bigger and more important, you know, so, yeah, sometimes you just have to let stuff go. And I like to remind myself that it's just a website. It's not anyone's rocket going up into space, you know, so it'll be okay. great question. Um, mirror is a consistent and flexible application. Obviously, I have a little bias being that Blue River created Mira. So, you know, don't tell biased, but I think it's a great content management system. Our clients love it, they rave about how friendly it is, an easy it is. And so for us, it's always the foundation of whatever it is that we're building, we start with Mira and we extend it as we need to, for our clients. And because it's so powerful and flexible, it's very easy for the dev team to to do so. So for, for me, that's what I really love about it. And cool fusion in general. I mean, it's a very reliable framework. It's been around for a long time, you know, as a markup language, and our team is all very well versed in cold fusion. And so for us, it's just kind of like breathing the air. You know, that's just what we do here. We write in cold fusion, and we use Mira. and I noticed that mirror con you probably a half the speakers are Blue River staff. So obviously, it's working. 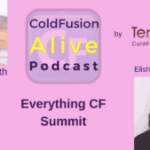 and one of the reasons I started the CFO Live podcast was just to, like, show people how long I've and modern cold fusion can be as a language. So if anyone listening can't make it to a conference, please just listen to the podcast. least you'll learn a whole bunch of cool stuff. Yeah. If you don't get to travel to exotic locations. as always, I love seeing my developers, my team doing their presentations, there's this, you know, ramp up these first couple of weeks where they're getting their presentations ready, and they want to practice so I get to hear all about it. But actually seeing them up on stage with the mic and you know, their deck up behind them. It's really exciting. Like you said, it's great professional growth, and having that visibility for our company is a wonderful thing. I love that our clients come to me or con and I get to hang out with them and see them. You know, it's really exciting that a few of my clients that have been on Mira for a long time are still coming to our conference because they just want to see what's something new that's coming out, and how can I do this, and it's just really refreshing to see people actually using the tool that we built and the applications that we've created for them. And finally, we are we have just launched a new website for our company at Blue River dot com. So we'll be showing that off and quite a few people have presentations about the website and how it was created. And so it's going to be really cool to see that and I and hopefully get some good positive feedback about our new site. fabulous. Well, we'll put all those links together with the resources that we and tools that we mentioned during the episode in the show notes, which can be found at terror attacks website and thanks so much for coming on the CF Live podcast. Kristin. Thank you so much. This was really fun.